Here’s a fun and quick card layout idea that gives you a chance to use up paper scraps or those beautiful sheets of designer paper you have been holding on to. 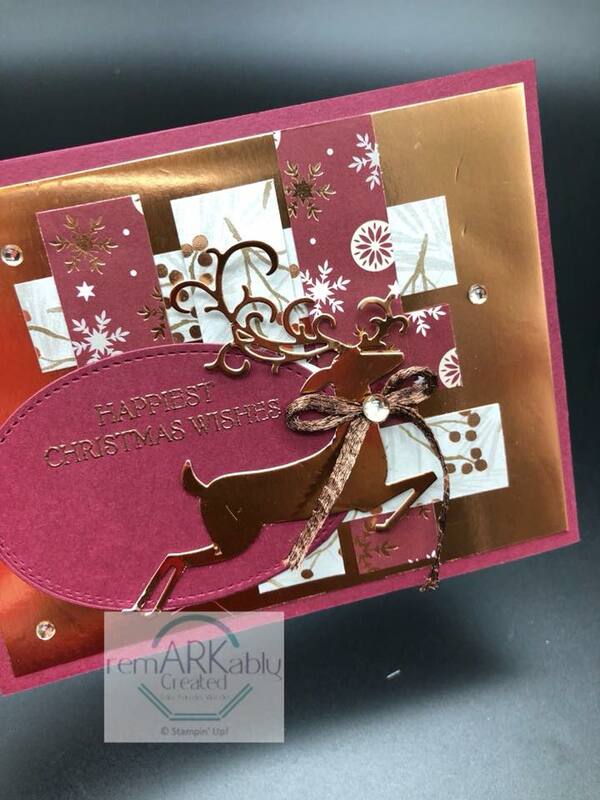 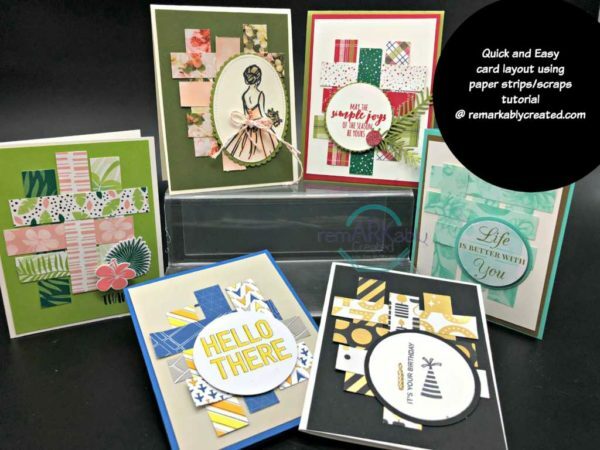 As you can see from the photo there are so many possibilities and while I chose to use strips that were all 3/4″ wide you can choose to use wider or narrower pieces or even vary the widths for different looks and based on the scraps in your scrap bin. Quick Tutorial – Paper strips are all 3/4″ in width and then 3″ 3 1/4″, 3 1/2″, 3 3/4″ an 4″ and I used two 4″ strips. 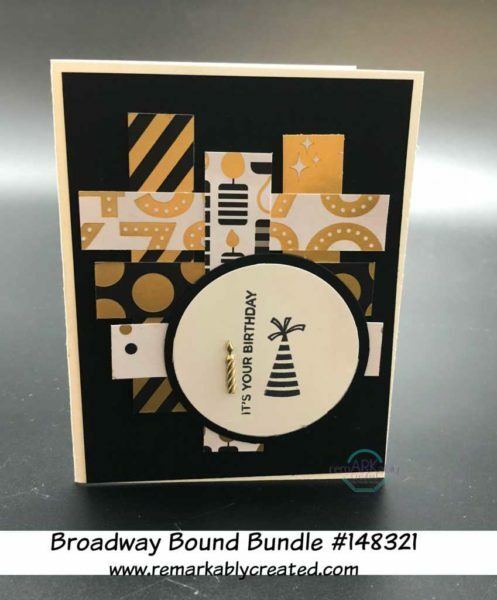 And a sneak peek featuring products from the 2018 Holiday catalog.